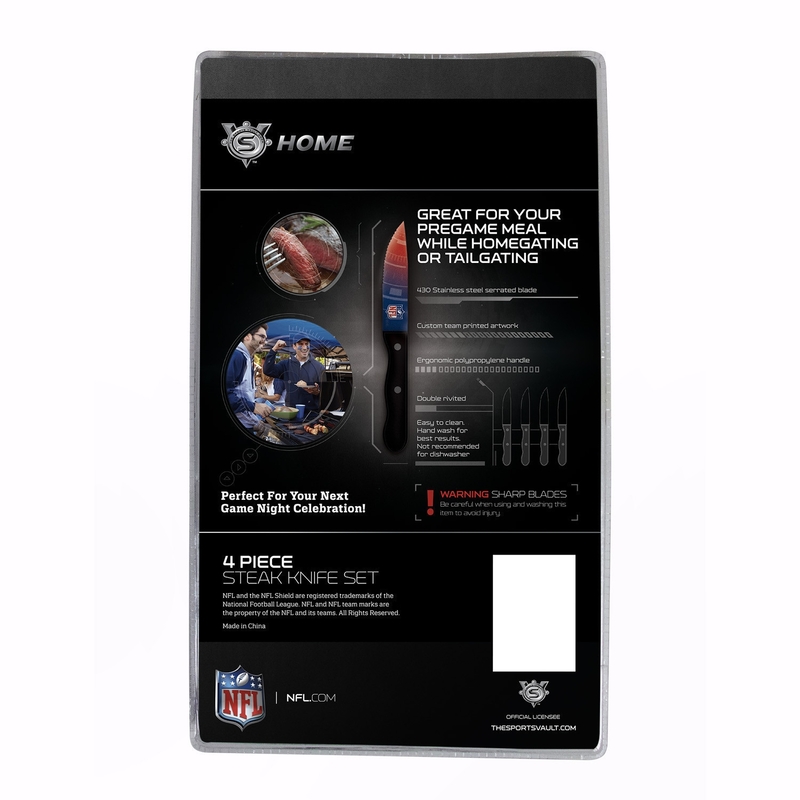 Enjoy a mile-high celebration at every meal with the Nfl officially-licensed Denver Broncos Steak Knives Set of 4. 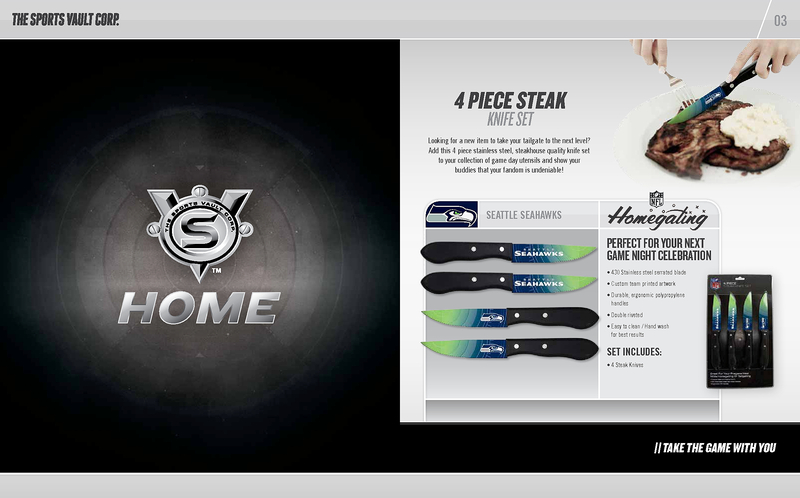 Each knife in the set scores big with themed handles and vibrant blades wrapped in Broncos logos and artwork. The blades are dipped in surecoat to protect the graphic design and logos for years to come. As an added measure of safety and comfortability, the handles are crafted from ergonomic, non-slip polypropylene. The blades are stainless steel and serrated, which makes slicing into your favorite steak an effortless affair. The Denver Broncos Steak Knives have been tested and have passed all regulations. Elevate your tailgate, backyard cookout, or gameday barbecue to new heights with the Denver Broncos Steak Knives. 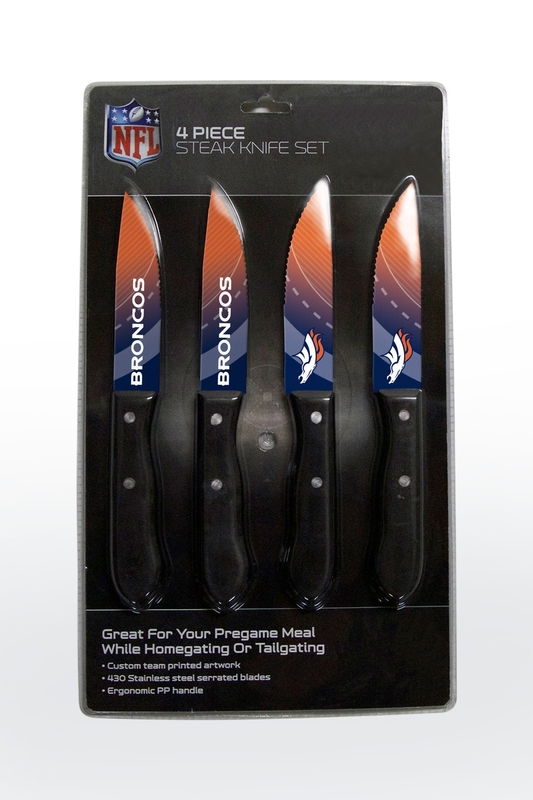 Request your Denver Broncos Steak Knives Set of 4 for yourself or as a gift for a friend or family member.